Step inside the world of SEMA as Justin shows you some of the coolest custom Mustangs ever built. Plus, you’ll get a first person view as Vaugh Gittin Jr. and Jack Roush Jr. shred tires while drifting for the crowds as well as an up close and personal look at MMD’s custom built 2014 Mustang GT. 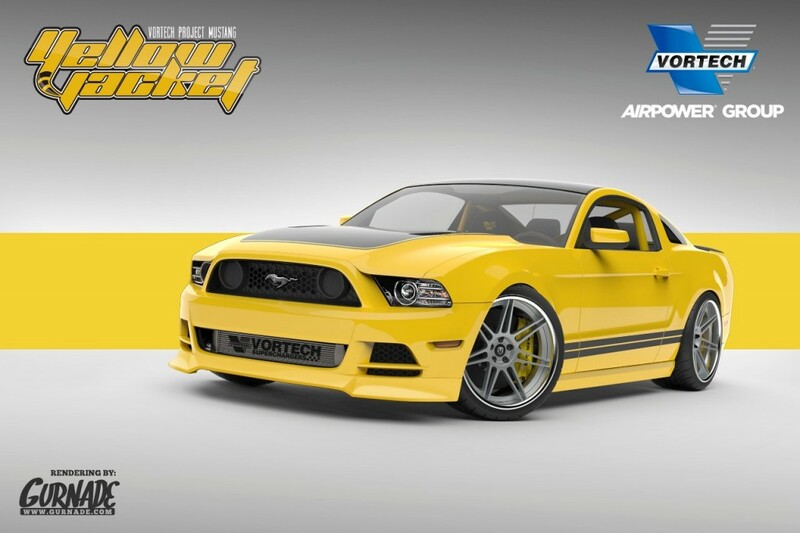 Nicknamed “Project Yellow Jacket,” this one-off 2014 Ford Mustang packs a lethal sting. Here’s what Vortech Superchargers has powering this 605RWHP beast and how AmericanMuscle was able to help out with the build! Photos & Video: 2013 AmericanMuscle Car Show Recap! The 2013 AmericanMuscle Car Show has come and gone, now we’re reliving all the fun! Chip Foose held a surprise live auction for charity, Vaughn Gittin drove a giant v8 shopping cart filled with the AmericanMuscle girls while tossing free apparel to the crowd, and there was a Mustang or two in attendance. We’ve got tons of photos and video from the show–check out the fun for yourself! Chip Foose – 2013 AM Mustang Car Show Special Guest! One of the most creative and visionary minds ever to grace the automotive industry will be on hand for the 5th Annual AmericanMuscle Car Show. 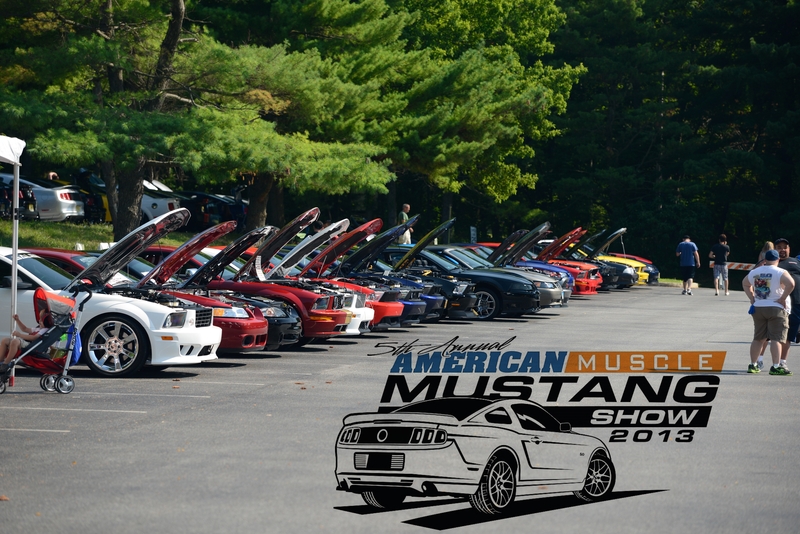 Get Ready – The 2013 AmericanMuscle Car Show is Almost Here! This is The Largest Mustang Car Show in the World! That’s right folks, it’s car show season and AmericanMuscle is once again hosting the Holy Grail of Mustang events–our very own AmericanMuscle Mustang Car Show, and you’re invited! Last year was crazy–over 1,200 Mustangs and 4,000 people attended the show, helping to raise $14,408.25 for the Cystic Fibrosis Foundation. This year, we’re expecting over 1,400 Mustangs! Check out the details and join us on August 11, 2013 at The Delaware County Community College in Media, Pennsylvania for an event no Mustang enthusiast should ever miss. 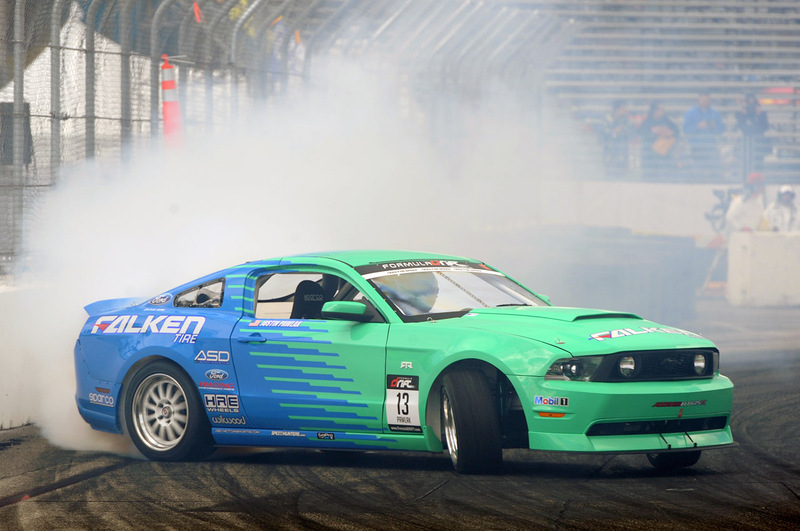 Watch as Justin Pawlak rips his 800+ horsepower, 2014 Ford Mustang across the track in Long Beach, CA during his Formula Drift qualifying round. Despite hitting the wall during his first run, JTP still managed to reach a spot among the top 16. Video: Mustang Mayhem Dyno Event Recap – Over 3,500 RWHP! What turned out to be a fun and eventful day here at AmericanMuscle culminated with the 2012 Shelby Super Snake taking down the day’s top horsepower award. With six very different cars all putting down huge numbers, it still ended up being a close match with the Shelby winning it by only 16rwhp. Watch video from the event and see what each of these high horsepower Mustangs put down on our Dynojet at this year’s Mustang Mayhem presented by AmericanMuscle. Surrounded by devastation, one local Moore resident and Mustang enthusiast caught the nation’s attention and pulled on the heartstrings of those in the Mustang community and everyone here at AmericanMuscle. Amongst the emerging tales sits one iconic Ford Mustang that reminds the world of the “Built Ford Tough” mantra. The owners of that car, Oklahoma native Jack Haden and his wife, Stephanie, emerged from the their Tornado shelter like many others to find their home damaged and car destroyed. AmericanMuscle’s Mustang Mayhem Dyno Event is Here! This Friday, some of the top Mustangs in the local area are going head-to-head on AmericanMuscle’s very own dyno, throwing down the best numbers possible in an all-out rear wheel horsepower showdown. One winner will be crowned as the top-dog at AmericanMuscle’s Mustang Mayhem. Check out a few of the cars and see what jaw-dropping Mustangs have surfaced for this year’s event. 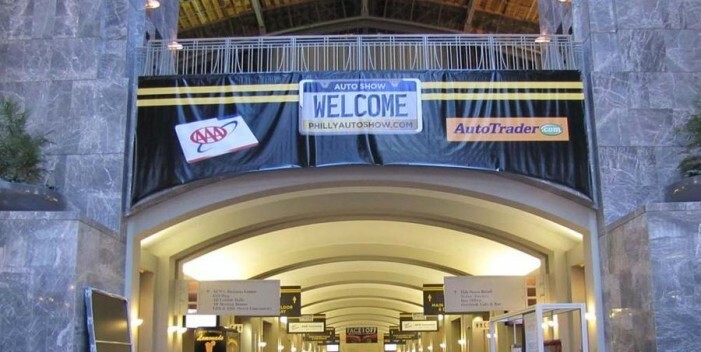 At Ford’s Private Preview Event for the 2013 Philadelphia Auto Show, Ford Racing decided to go above and beyond expectations by playing host to a crowd of local Mustang clubs with an invite-only breakfast, free gifts and a bit of exclusive action before the auto show kicked off.